One of the largest national parks, The Ranthambore National Park, is situated in the Sawai Madhopur district, in the state of Rajasthan. The park is famous for its exquisite wildlife which includes the tigers, the lions, the elephants and what not. Visit there and you will be totally fascinated! Well if you are planning your trip to the famous Ranthambore National Park, before going there you need to keep in mind some very crucial travelling tips, so that you enjoy a pleasant and a memorable journey. The very first thing that should be kept in mind is the clothing. Totally sober and ecofriendly clothes should be carried according to the season. Prefer neutral colors which suits with the surroundings. If you have any doubt, regarding the same, you must contact the Japji Travels, Tour Operators in India. 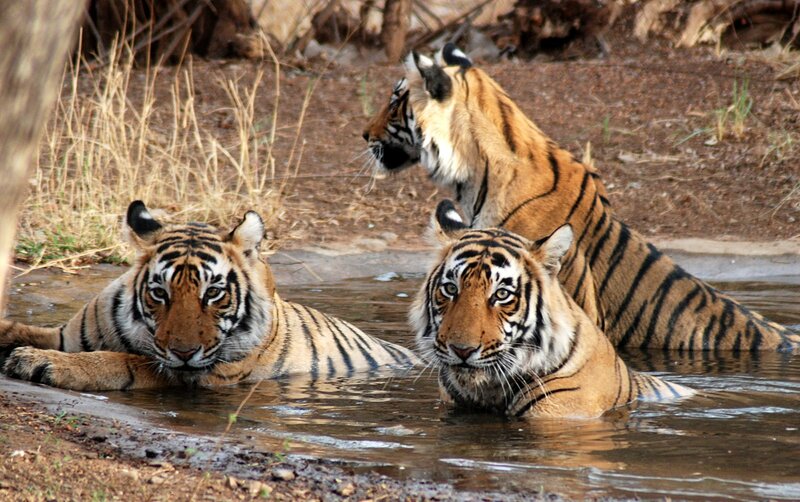 They will provide you with proper guidelines for Ranthambore tour package. One must consider his or her budget while making the Ranthambore Trip for the entry fee in itself is too expensive. All thee future expenses must be kept in mind before finalizing any such trip. Contact the Tour Operator India and get a rough idea about the same. Quite a serious matter! Transportation is yet another aspect that should be kept in mind. As per the rules of the park, only authorized vehicles can enter the area. Hence, bookings should be made beforehand to avoid any problems in the journey. Along with these certain minor issues like some medicines, extra food, communication facilities etc. can be taken care of. To get to know about the do’s and don’ts’s while making this tour, one should contact the Japji Travels and they will clarify all your doubts at once. As the saying goes,’ Prevention is better than cure’. This entry was posted in Travel Tips and tagged Ranthambore tour package, Tour Operator India, Tour Operators in India. Bookmark the permalink. ← What not to miss during your visit to Khajuraho? What not to miss during your visit to Khajuraho?